Set after the events depicted in 2013’s next-gen Tomb Raider franchise reboot, Rise of the Tomb Raider from Square Enix is one of the year’s biggest and best action games to arrive on PC. In Rise of the Tomb Raider, Lara Croft embarks on a perilous new adventure that takes her to the frigid mountains of Siberia during a quest to investigate her late father’s work and the secret of immortality. Not only does Lara have to survive the harsh environments and wildlife she encounters during her journey, but she’ll meet a dangerous organization known as Trinity who are after the same thing as her. 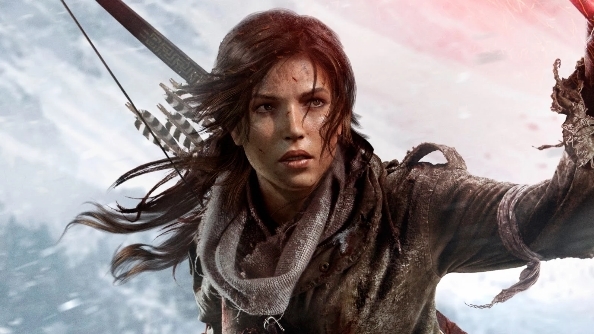 Now you can score a free copy of Rise of the Tomb Raider with a new bundle from NVIDIA. For a limited time, purchasing a new NVIDIA GeForce GTX 960 GPU will get you Rise of the Tomb Raider for free on PC. The high-performance GTX 960 will enable you to take advantage of the PC version, which includes all new high-end graphical features. While Rise of the Tomb Raider originally launched on consoles last year, the PC edition packs a bunch of new visual features including HBAO+ ambient occlusion, which reduces artifacts and results in richer and more detailed ambient lighting. It also packs anisotropic filtering on all textures in the game, which brings a great deal of detail to everything you see in the game. Watch the video above for a more detailed look at all the PC exclusive graphical enhancements in Rise of the Tomb Raider. If you’re interested in taking advantage of NVIDIA’s new bundle for Rise of the Tomb Raider, don’t wait long as it will only be offered for a limited time.